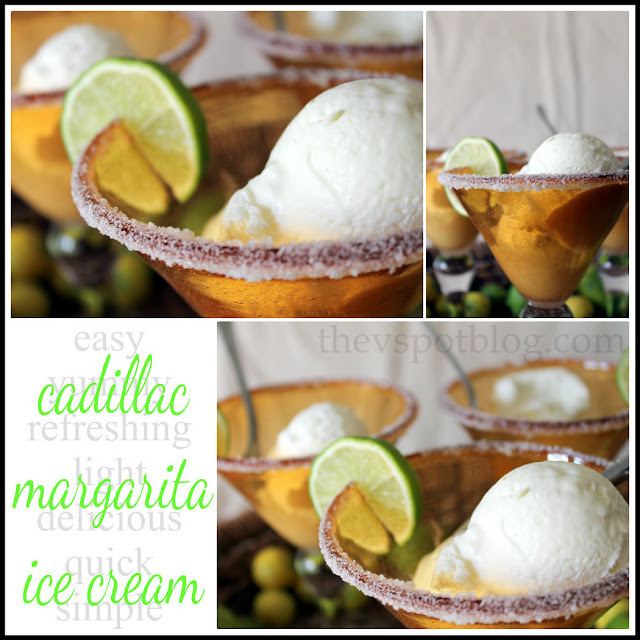 I have a fabulous dessert to share with you… Cadillac Margarita Ice Cream. It is easy and delicious, and the best part? You don’t need an ice cream maker. This is really easy and really delicious. Squeeze enough limes for a 1/2 cup of juice. Mix with tequila, Grand Marnier and powdered sugar. Stir until dissolved. Add in the cream and whip on medium low until smooth. You don’t want to whip the mixture until it is stiff, but it should have some body to it. Stir in the lime zest, spoon into a container and freeze overnight or for at least 8 hours. It will not be rock hard like most ice creams, but it will be smooth and creamy and yummy. 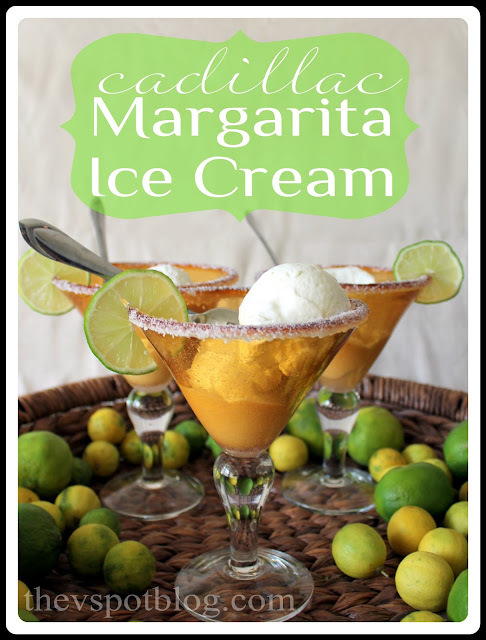 Run a lime wedge over the edge of a margarita glass and dip the rim in granulated sugar (or a sugar/salt mixture.) Scoop ice cream into the glasses and serve immediately. Viv this is right up my alley. I will really have to try this.